Dallas is home to some of the most impressive meeting spaces in Texas. There's the Kay Bailey Hutchison Convention Center Dallas (KBHCCD), rated one of the top convention centers in the nation. And then there are the private suites of AT&T Stadium, the largest domed structure in the world. In addition to all the big-name venues the city is known for, you will also find several unique attractions that offer an only-in-Dallas experience your guests will love. From historic homes to famous museums, here are 10 one-of-a-kind venues that will ensure your next event is a success. Built in 1939 and modeled after one of the most spectacular mansions in the south, this sprawling meeting space has hosted everyone from former President Franklin D. Roosevelt to musician Stevie Ray Vaughan. Now it's ready to cater to your team. The large hall offers several spaces where you can host events for up to 500 guests. The 15-acre lawn offers more room for meeting and mingling. Consider treating your guests to an intimate networking event in the formal garden. Or host an under-the-stars reception on one of Arlington Hall's two terraces. 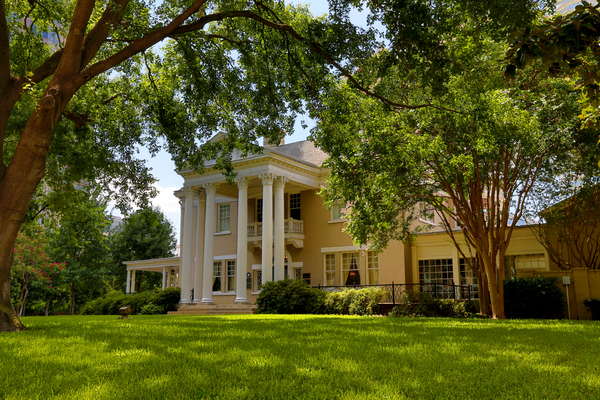 Located in the heart of the Dallas Arts District, the historic Belo Mansion proves that business can be beautiful. Reward your guests with an elegant event under the alabaster chandeliers and 17-foot ceilings of the 7,000-sq.-ft. grand ballroom. Or throw a party on the 2,025-sq.-ft. terrace that overlooks the Meyerson Symphony Center and the Nasher Sculpture Center; it's not just the lavish setting that will impress your guests. The Belo Mansion and Pavilion's culinary team is led by an award-winning executive chef. Whether you want to host a black-tie executive dinner or a buffet-style barbecue, you can count on the mansion's team to wine and dine your group in style. Dallas' Deep Ellum neighborhood has always been known for its music. Today, it's one of the biggest entertainment districts in the state, home to a plethora of live music venues, including the 50,000-sq.-ft. Bomb Factory. With room for more than 4,000 guests, the facility's Factory Ballroom can accommodate everything from fashion shows to trade shows. 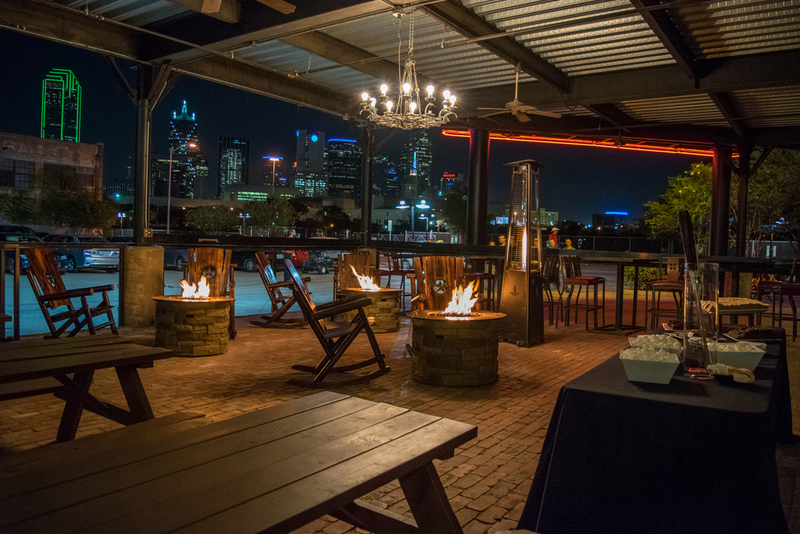 For a multi-day corporate event, take advantage of the Bomb Factory's weekly rental program. Or have your guests feeling like rock stars when you hold a board meeting on the same stage that the Dave Matthews Band and The Ramones played. Located 500 feet above the city, the Cloud 9 cafe in Reunion Tower offers amazing views as well as an amazing event space perfect for your next meeting or reception. Every 55 minutes, the floor rotates 360 degrees, giving everyone in your group a chance to enjoy the impressive views of the city's skyline. Located one floor below Cloud 9, the tower's GeO-Deck can also be rented for private events. As your team networks and talks business, they can also take advantage of the GeO-Deck's powerful telescopes and high-def zoom cameras to explore the city around them from above. For a truly Texas experience, consider hosting your next event at Eddie Deen's Ranch. With more than 36,000 square feet of climate-controlled meeting space, you can treat your guests to everything from a country music concert to a rodeo. Spice up your next fundraiser with a competition to see who can stay on the ranch's mechanical bull the longest. Or let the team set up a petting zoo (yes, you read that correctly) at your closing-night reception. You don't have to travel far to enjoy this venue's unique offerings. Eddie Deen's is located less than a block from KBHCCD. 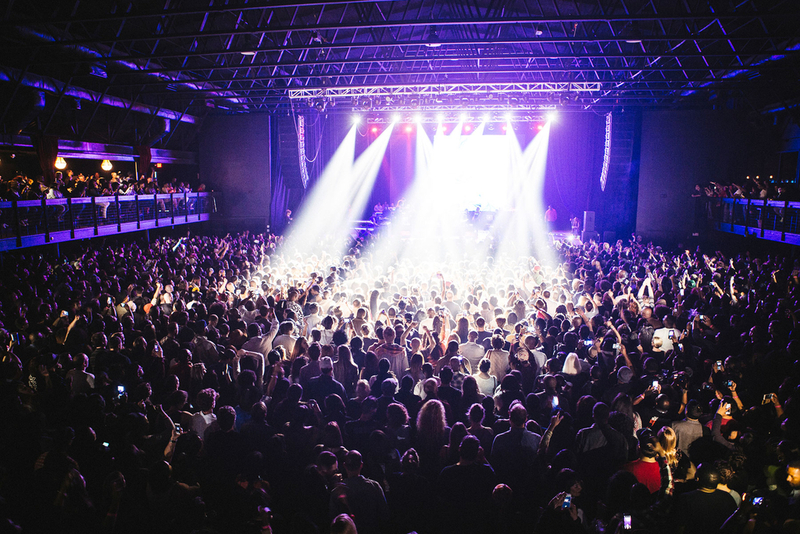 Gilley's Dallas is one of the larger unique spaces, with room for more than 3,500 guests. Take your pick from meeting spaces like the grand South Side Ballroom, with its full-size stage, large buffets and a bar that seems to go on forever. Or perhaps your guests will prefer The Loft, with its expansive patio and cabanas. Don't let all the space fool you. Gilley's is capable of making even the largest event feel like an intimate affair. Many of the rooms can be divided to create private places for VIP rooms and more. 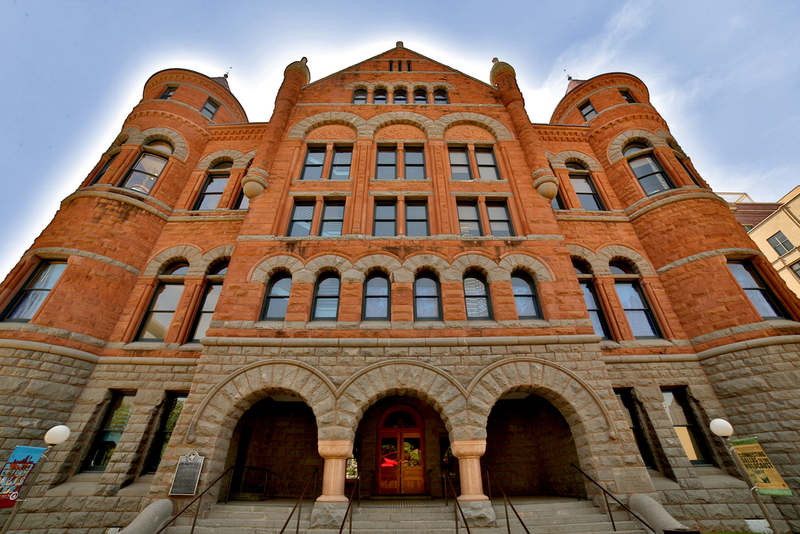 More than a century ago, the Old Red Museum - or as locals call it, Old Red - served as the Dallas County courthouse. Today, it's one of the city's most beloved event spaces. Many of the courthouse's original features, including its granite walls and Victorian chandeliers, have been restored to their full glory, creating an environment that's both classic and one-of-a-kind. Your guests will be mesmerized from the minute they enter the marble entryway and see the fairy-tale-like four-story staircase. The museum's Great Hall can accommodate up to 300 seated guests (or 400 standing) with plenty of space left for buffets and dancing. For even more history, consider granting your guests exclusive access to the Sixth Floor Museum, a must-see for any visitor to Dallas. Formerly known as the Texas School Book Depository, this museum celebrates the life and legacy of former President John F. Kennedy. In addition to the inspiring exhibit, the museum offers more than 4,500 square feet of event space perfect for an unforgettable client reception, awards banquet and more. Your guests will love the history, as well as the 14-foot ceilings and exposed brick details. A large catering and prep space, plus two wide elevators, make hosting an upscale catered event a breeze. This 1914 train station was once one of the Southwest's biggest transportation hubs. Now fully restored to its original splendor, the station's grand Beaux-Arts halls are just waiting to greet your guests in style. Union Station offers more than 26,000 square feet of versatile space, including the unique covered loggia outside the Grand Hall. But it's not just the vintage architecture that will impress your guests. The venue's Wolfgang Puck catering team is ready to elevate your event with expertly prepared dishes customized to your guests' preferences and dietary needs. Where else can your guests race against a T. Rex, attend a private screening of a 3-D National Geographic documentary and marvel at life-sized dinosaur fossils - all while toasting and dining with their colleagues and new friends? 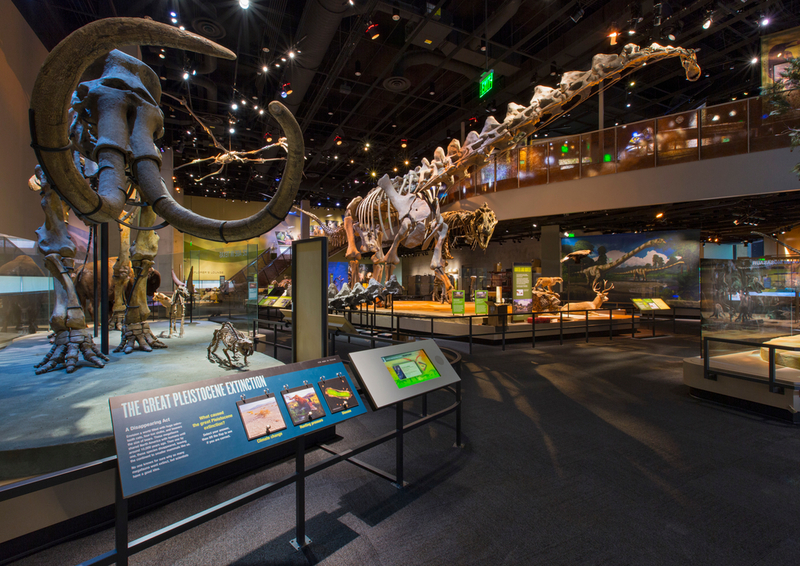 Give your guests reign of the entire Perot Museum of Nature and Science for a night they'll never forget. The rental fee includes top-notch planning assistance from the museum's events team, as well as the use of all its tables and chairs. Your guests will always remember how much fun they had at your event. While you'll always remember how easy the experience was for your team.